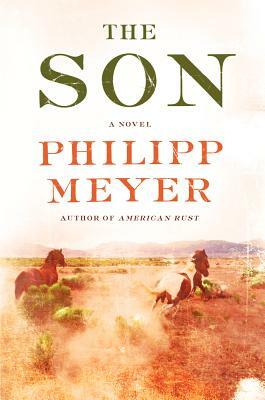 Philipp Meyer, the acclaimed author of American Rust, returns with The Son: an epic of the American West and a multigenerational saga of power, blood, land, and oil that follows the rise of one unforgettable Texas family, from the Comanche raids of the 1800s to the to the oil booms of the 20th century. Harrowing, panoramic, and deeply evocative, The Son is a fully realized masterwork in the greatest tradition of the American canon—an unforgettable novel that combines the narrative prowess of Larry McMurtry with the knife-edge sharpness of Cormac McCarthy. Philipp Meyer is the author of the critically lauded novel American Rust, winner of the 2009 Los Angeles Times Book Prize. It was an Economist Book of the Year, a Washington Post Top Ten Book of the Year, and a New York Times Notable Book. He is a graduate of Cornell University and has an MFA from the University of Texas at Austin, where he was a James Michener Fellow. A native of Baltimore, he now lives mostly in Texas. “With its vast scope, The Son makes a viable claim to be a Great American Novel of the sort John Dos Passos and Frank Norris once produced... an extraordinary orchestration of American history. The Son is positioned to seduce readers who swooned for Lonesome Dove and 2011’s briskly selling Comanche history, Empire of the Summer Moon. This is an endlessly absorbing book, a page-turner with serious moral scope, both full of feeling and ruthlessly engineered, as great books are, to get us closer to the truth about ourselves. Want to stay updated on our events and sales?